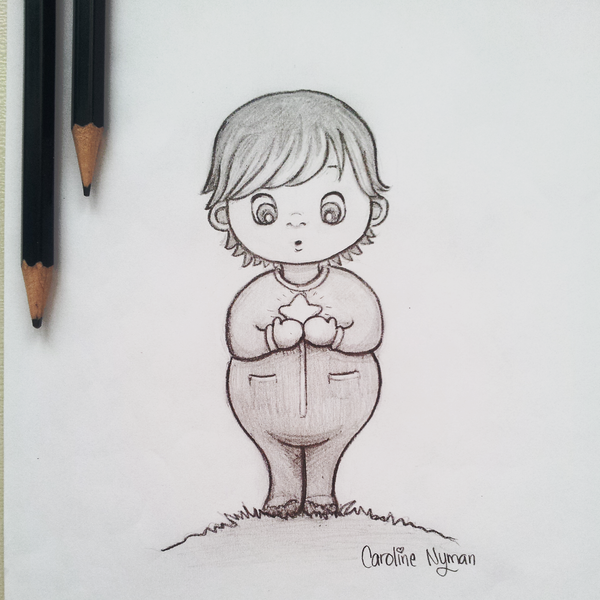 So it started off as a simple drawing of a little boy with a star. Since I liked the sketch and didn't have time to start on a new project, I decided to work on what I already had. I just put a hat on him and voila a little Santa! I am also planning to make a tutorial/making of, of this one later for those interested. I actually saved some process images and other information for once. But until then you can see the painting process in a .gif below. 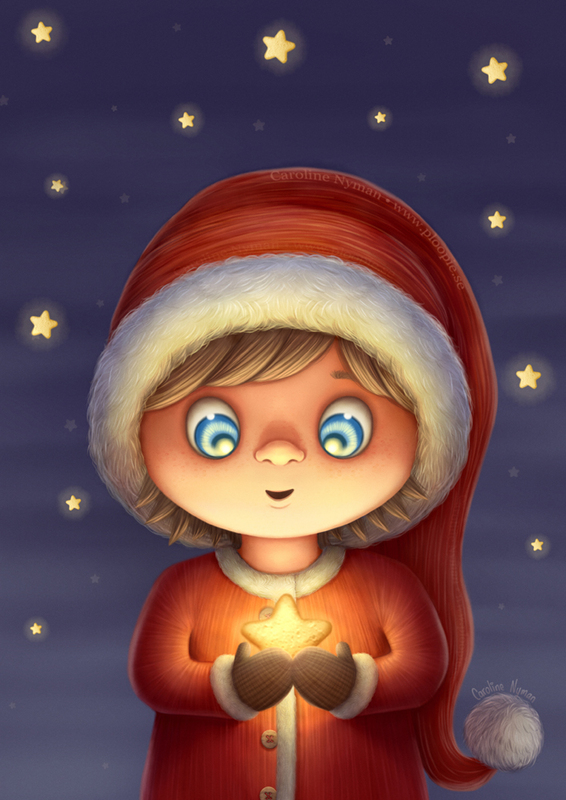 Anyway, I hope you like my new little Santa and I hope you will have a wonderful holiday! Here you can see the original drawing and the painting process in a gif.